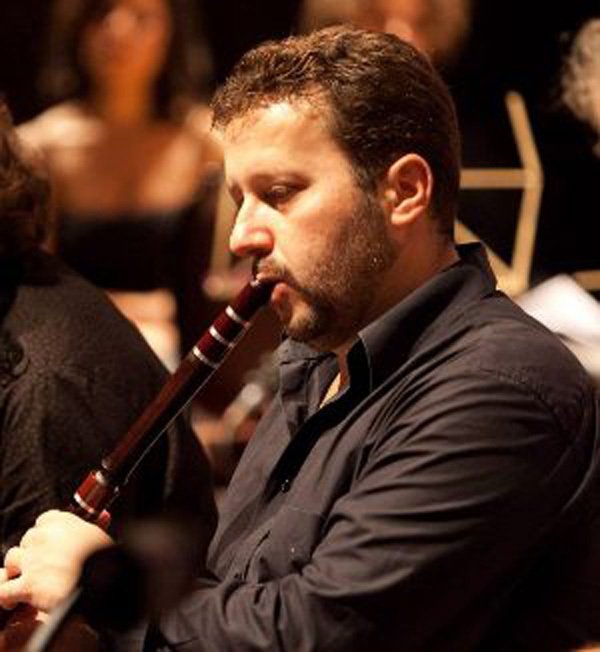 Nedyalko Nedyalkov is Bulgaria’s premier Kaval player, with an impressive bio full of studies and prizes with his instrument. The Kaval is an end-blown wooden flute, typically played in different versions throughout the Balkans, Greece and Turkey. Though its sound-production technique is similar with the Ney (reed-flute) the differences in its construction make it a more “chromatic” instrument which can play on all scales of tempered music. In his seminar, Nedyalko will share his vast experience in Balkan music: coming from a long line of folk musicians in his family, he plays from the age of four, mastering the traditional, folk and “wedding style” music of his country. Furthermore his ongoing collaborations with a great variety of musical genres and musicians make him not only a unique interpreter and master of different musical idioms throughout Greece, Macedonia, Thrace, Turkey, Romania – but also an innovator of stunning virtuosity, being able to collaborate with the most diverse projects and musicians around the world: Jordi Savall & Hesperion XXII, Fraser Fifield, Tcha Limberger, Aka Moon, Petar Ralchev, Ivo Papazov, the Bulgarian Voices “Angelite” and the of Bulgarian National Radio Orchestra, to name some. For this reason the seminar of Nedyalko Nedyalkov is of great interest, not only for kaval and flute players, but for all instrumentalists who are interested in the musical worlds of the Balkans, and learning more about the past but also the present of this rich and diverse musical area.